Itanagar is concentrated in the northeastern Indian state of Arunachal Pradesh. The eastern Himalayas that border Itanagar from one side and the plains of the Brahmaputra River lie on the southern end of Itanagar. History says that there is a note of Arunachal Pradesh in epics like Mahabharata, Ramayana and Kalika Purana. 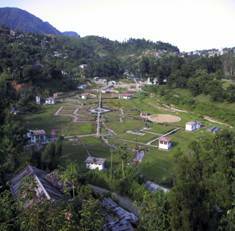 Itanagar is named after the Ita fort which was built by King Ramachandra around 14th-15th centuries. Itanagar was the capital state even during the 11th century in the name Mayapur at the time of Jiti Dynasty. Itanagar is situated in one of the largest state in the North Eastern region of India. Itanagar is predominantly occupied by the tribes Nishings. 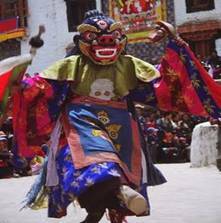 Torgya Festival - This festival is celebrated for a period of three days and it manily denotes the destruction of evil spirit and harmful forces and to promote good fortune, prosperity and happiness in people. Saka Dawa - This festival signifies the attainment of Nirvana by Gautama Buddha. This falls in the fourth month of lunar calendar. Dukpa Tse-Shi - This festival which falls in the 6th month of Lunar calendar celebrates the preaching of the four noble truths at sarnath by Buddha. 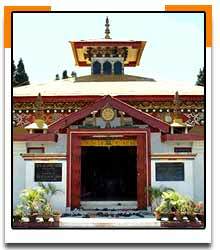 This temple is located at a distance of 67kms away from Itanagar on the top o a hill. This is a Buddha Shrine with a yellow roof. This Buddhist temple is located behind a stupa bearing the portrait of a monk. The special feature of this temple is a tree planted by His Holiness the Dalai Lama. The main feature of this historical monument is that the palace is built in an irregular shape with bricks. This fort located in Papum Pare was built around 14th to 15th centuries. 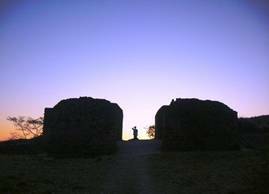 The Itanagar fort has three gates on three sides namely Eastern, Western and Southern. This Lake is surrounded by a thick forest which is rich in bamboo trees. This museum is known for the store of the tribes of the Arunachal Pradesh exhibiting its rich culture and heritage. The display in the museum includes archaeological artifacts, ornaments, basketry, weapons, bamboo artifacts, textiles and jewellery.This museum is situated in Siddhartha Vihar near the Secretariat. This park is located on a hillock in Naharlagun of Papum Pare District. Adjacent to this park is a small zoo. The Polo Park is known for the cane thicknet giving a palm appearance with spines on its stems and grows like a bush. There is also a Handicrafts Center run by the garden in the premises of the park. 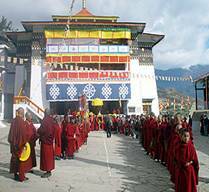 This place is popularly known for its pilgrimage site which is located at a distance of about 10kms from Bomdil.It was in this place where Dalai Lama the spiritual leader of the Tibetans goes to preach and pray. This place is known for its handicrafts and articrafts exhibiting the states tradition and culture. The Monpa wood is very famous and which comes to the market as cups, dishes and fruit bowls. Baskets and masks made of bamboo and cane are also popular items for shopping in Itanagar. Beautiful ornaments and bangles made of beads may also feature in your shopping cart in Itanagar. The nearest railway station to Itanagar is Harmoti at a distance of about 33kms away from Itanagar. The railway station is connected to Kamakhya Railway Station, which is again, serviced by regular trains from eastern Indian cities like Silchar, Kolkata, Siliguri etc. Itanagar is served with good network of roads connecting major cities like Assam, Manipur, Guwahati, Bomdila, Kolkata, North Lakhimpur, Siliguri and Shillong. The nearest airport to Itanagar is located at Lilabari in Assam, which is nearly 67 km away from Itanagar. This airport is well connected by flights from Guwahati. Pawan Hans provides helicopter facility between Itanagar and Guwahati, thrice a week.